We have crates of crates! Cool old fruit crates with the farm names stenciled on them. 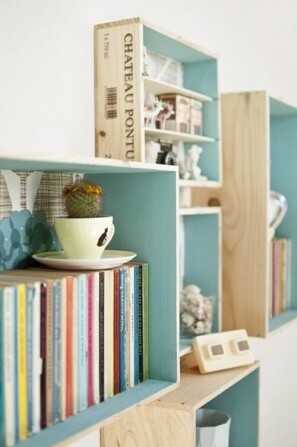 Great for DIY projects and bookshelves! They are $24 each. 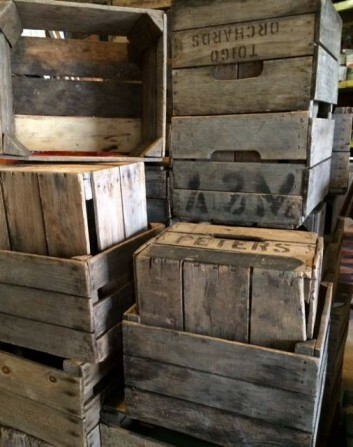 Crates like these are hard to find, so come in soon for the best selection. Now, if you can’t get here before they’re all snapped up – or if the cost is a bit steep for your budget – remember that modern wine boxes are much more common. We have a steady stream of wood wine boxes here at the ‘Lift, usually for $2 – $12 each, depending on size and age. You can also sometimes persuade your local wine shop to sell them for few bucks. 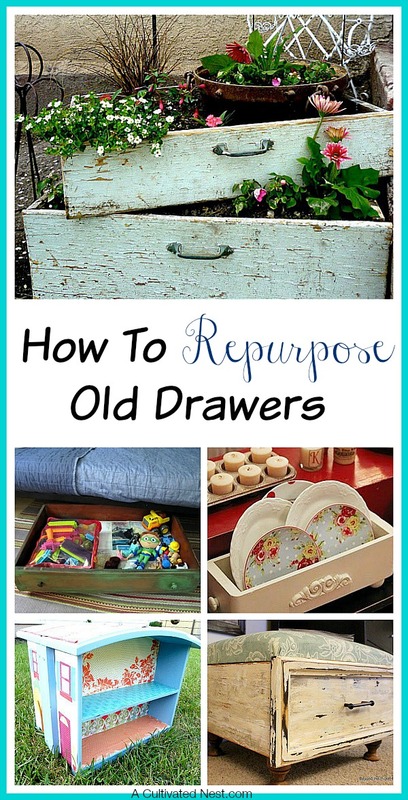 Orphan cabinet drawers can also be a nice cheap option. We almost always have some here, usually priced at $2-$5 each. 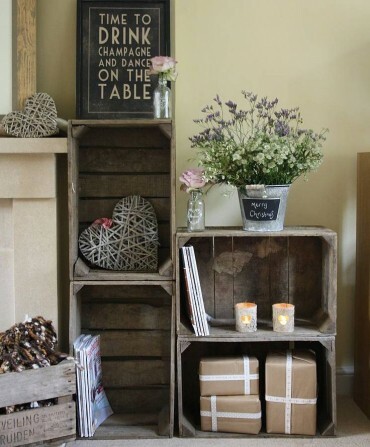 The blogger below even built her own containers out of old pallets, which are usually available at the Forklift for $1-$5 depending on condition.